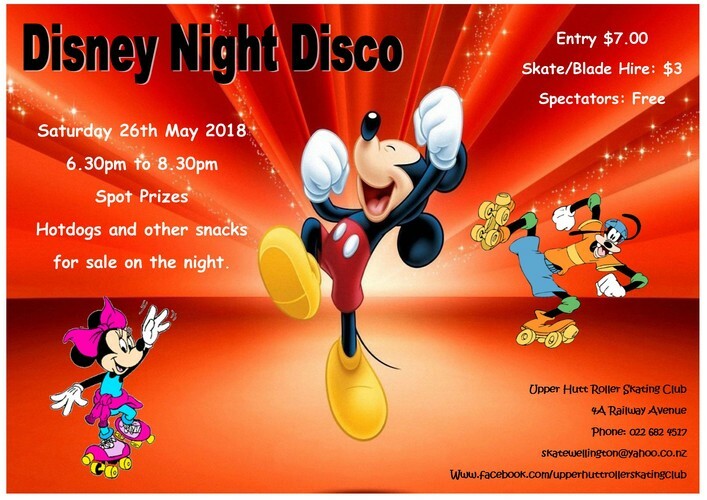 Disney theme Roller Disco. Spot prizes. Hotdogs and other snacks for sale. Get your family or group of friends together for evening of great skating for any age.